Each indigenous culture on Earth, from Stone Age tribes to the great civilizations, has incorporated plants into its healing arts. This intimate connection to plant life has permeated the world’s oldest medical systems, developed as far back as 6500 years ago in India and China. Chinese herbal medicine extends as far back as its civilization, over 5,000 years and written documentation of its practices goes back for over 2,000. The last two thousand years have produced more than 400 herbals: manuals listing properties and instructions for use of herbal medicine. One such classic explains the fever-reducing capacities of chang shan, or the blue evergreen hydrangea (Dichroa febrifuga), now a proven antimalarial herb. What has become known as Traditional Chinese Medicine (TCM), distinguished itself from localized herbal medicine, and today provides an approved list of 500 official herbs that are distinguished from the approximately 4500 used by regional, non-TCM practitioners. 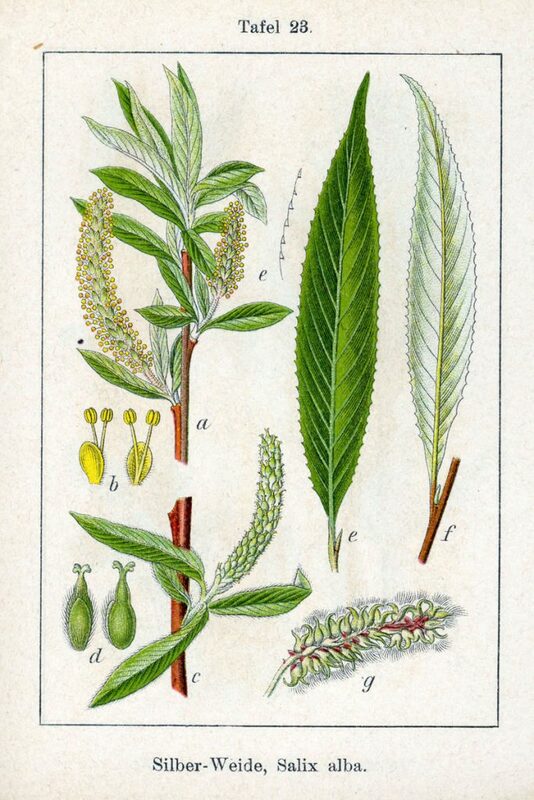 As early as 500 B.C, the Chinese recognized the analgesic properties of the white willow (Salix alba) which contains the active ingredient salicin. This chemical was isolated more than two millennia later – in the 19th century – and transformed into acetylsalicylic acid, or aspirin. Asian ginseng root (Panax ginseng) sits near the top of the list as one of the most prescribed instances of herbal medicine and carries the distinction in traditional Chinese Medicine of being prescribed alone, and not in combination with up to 100 complementary herbs. The genus name Panax means “cure-all,” announcing the plant’s prominent status as an adaptogen, a substance that makes the body function better as a whole. Thus for thousands of years ginseng has been widely prescribed as a tonic targeting and replenishing the body’s vital energy. The Benchmark Clinic of Integrative Medicine offers customized, science-based herbal treatments from both Western and Chinese medicine. Nicole Kilian, LAc, ND earned her degrees from the National University of Natural Medicine in Portland, OR, and her thesis work at NUNM focused on over-training syndrome in ultramarathon athletes. She has completed extensive clinical rotations in mental health, and provided symptom relief using acupuncture for cancer and multiple sclerosis patients while they underwent infusions.